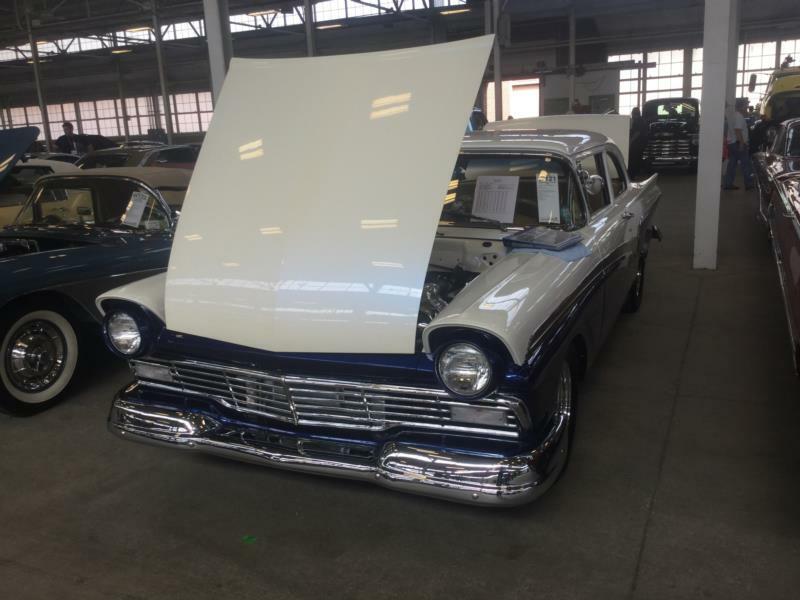 In the heyday of the late 1950s, Ford completely restyled its lineup to compete with the offerings from GM. The new cars had more sculpted bodies, were much lower overall, and the signature tail fins of the era made their first appearance. During this period, the Custom and Custom 300 lines were Ford’s entry-level models. Luxury features were limited to driver’s side armrest and sun shade on the Custom, and two visors and armrests on the Custom 300. Ford Customs of this era were available as two- or four-door sedans, or as a two-door business coupe with a parcel shelf in place of the back seat. The business coupe was not offered in the higher trim level Custom 300. Engine choices in the Custom line started with the basic six-cylinder overhead valve engine, delivering 144 hp from 223 cid. Optional upgrades included Ford’s 272-cid V-8 engine at 190 hp. Buyers could also opt for the Thunderbird V-8 at 292 cid and 212 hp, or the 312-cid engine with one or two carburetors at 245 and 270 hp respectively. For the serious performance enthusiast, the Thunderbird Special Supercharged V-8 was available at 312 cid and 300 hp (or 340 horsepower in the NASCAR version). This last engine came with a McCulloch/Paxton centrifugal supercharger. A three-speed manual transmission was standard, with optional overdrive. Also optional was the Ford-O-Matic automatic transmission. 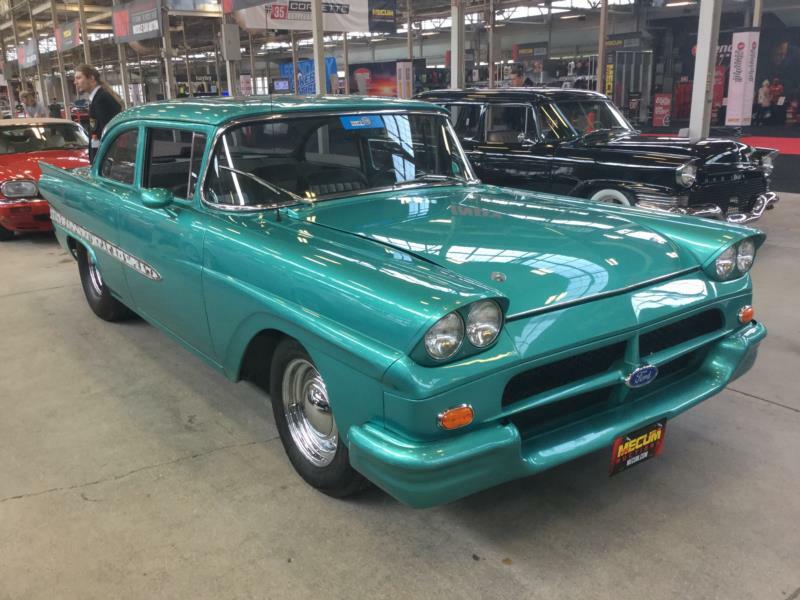 For 1958, Ford dropped the base Custom and the Custom 300 became the new entry-level car from Dearborn. 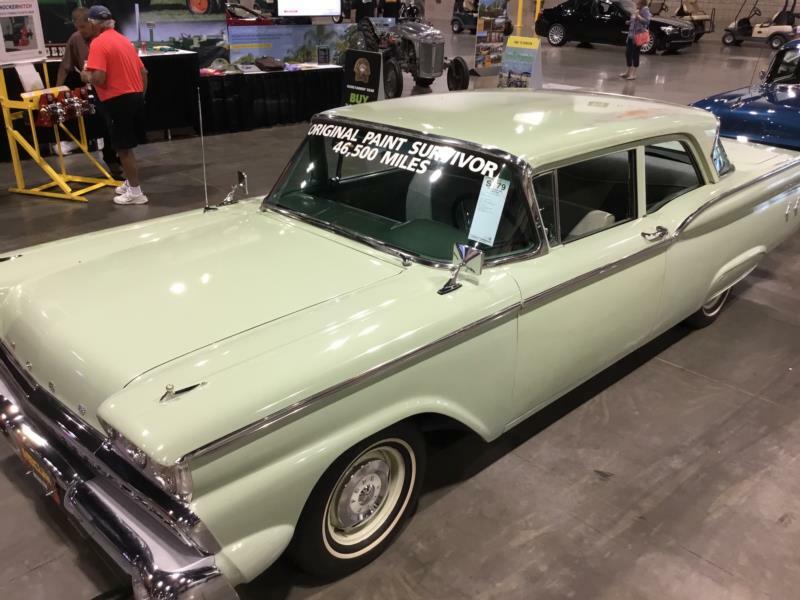 A new simulated hood scoop was added, but the fundamentals of the body were unchanged. The base engine was unchanged as well, however the first step V-8 was now the 292 at 205 hp, followed by a 332-cid Interceptor V-8 at 240 or 265 hp depending on carburetion. The Interceptor Special V-8 was 352 cid and 300 hp. Transmission options were unchanged from 1957. In 1959, Ford went to a deeply sculpted body, with the trademark “jet engine” taillights that would define the next few years of Ford products. These are considered the most striking and beautiful examples of this era. Once again, the Custom 300 was the base model Ford, offered with minimal luxury features. The standard engine was still the inline six-cylinder, with the 292 as the first V-8 option. The 332- and 352-cid engines also remained unchanged from the prior year. 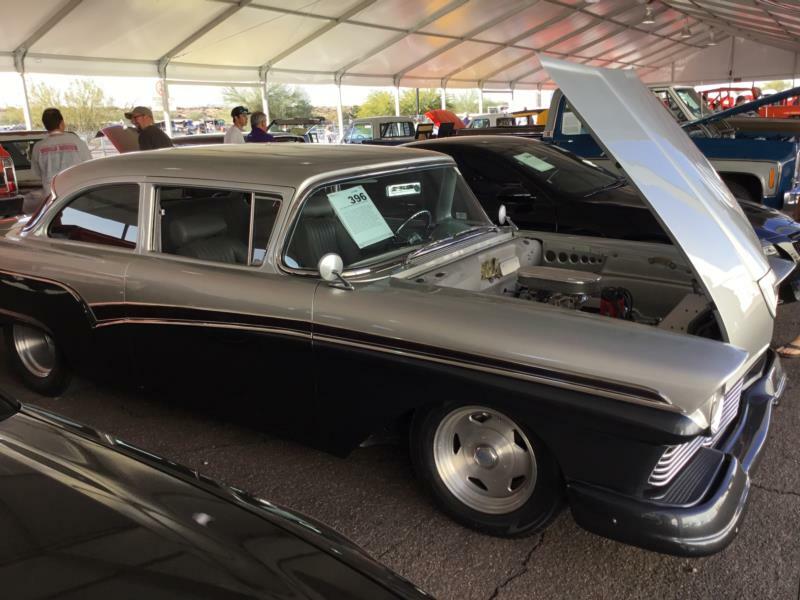 New for 1959 was a 430-cid V-8 with 350 hp. 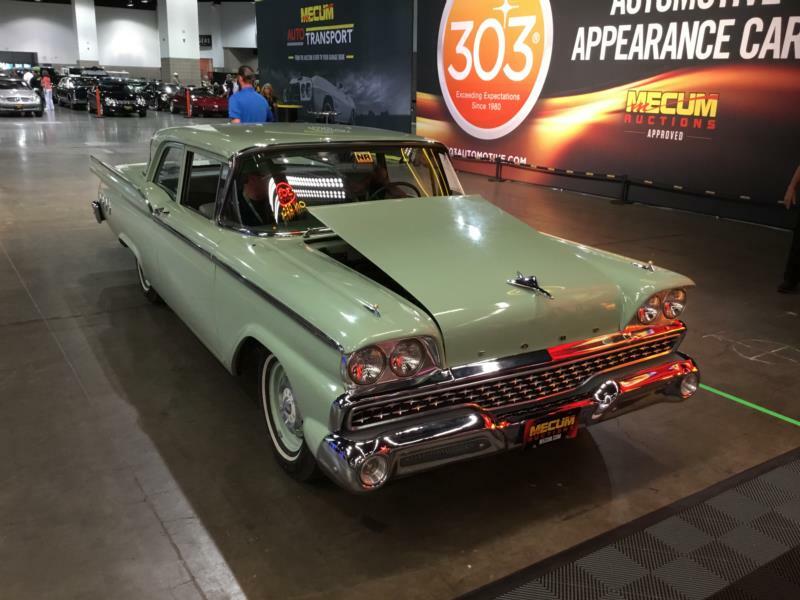 During the three-year production run from 1957 to 1959, more than 1.3 million Ford Customs and Custom 300s were manufactured, meaning it is not terribly difficult to locate a particular body or engine choice, save for the rare Thunderbird Super Special motors. 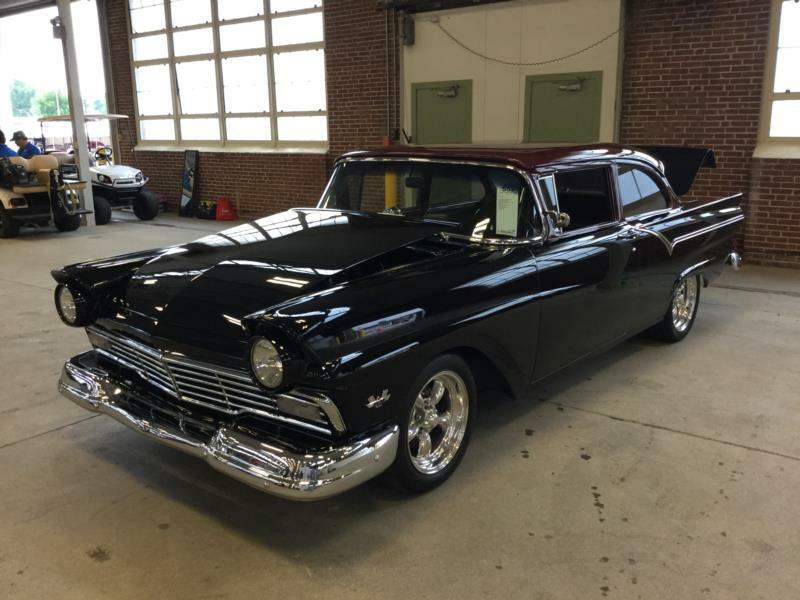 Customs of this generation are attractive cars, chock full of wonderful late-1950s nostalgia and panache, yet not as commonly seen as its contemporary competitors from GM.